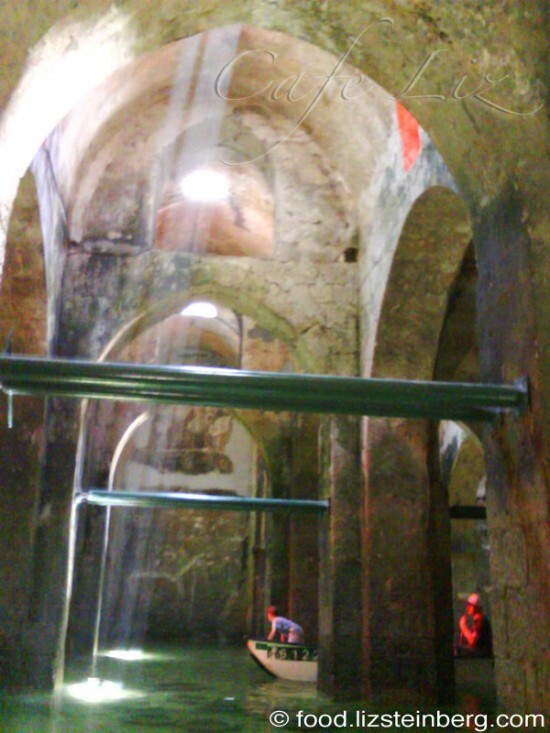 I recently took a trip to Ramle with my friend Ben of Savor Israel. Admittedly it was my first time, even though Ramle is quite easily accessible from Tel Aviv — 15 minutes on the train and you’re there. And by there, I mean about a 2-minute walk from the market and the center of town. Couldn’t be easier. Ramle is known for being the only city founded in the land of Israel during the era when it was under Arab rule. It’s been around since 716 CE, and is full of architectural artifacts. Much of the old city is built from pale stone, Jerusalem style. What struck me most was seeing people living among and literally in ancient buildings — you have minarets sticking out of people’s homes. As a bonus, the city is small and easily walkable — most things you’ll want to see are within five minutes of the train station, and nothing is more than 20 minutes away. While we were shopping for grape leaves at the end of the shook, the elderly seller explained how his family prepares them. He also asked me if I was pregnant. I don’t think I look pregnant …. I also bought limes, which for some reason are a rarity in Israel. They didn’t taste much different from lemons, though. We particularly enjoyed the “authentic Turkish bourekas” in the middle of the market, around Jabotinsky 15. The dough was thick and crispy, and not overly flaky. Facing the stand was a store selling custom perfumes and oils. Once I go back with more room in my stomach, I’ll be looking forward to trying the other “authentic Turkish bourekas” on Herzl Street, too. Among other groups, Ramle is famed for its Indian Jewish community, and is home to a handful of stand-out Indian restaurants and stores. 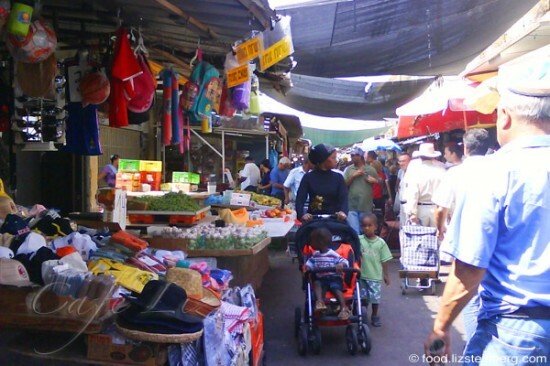 Most renowned is Maharaja (Herzl 87), near the entrance to the market. The institution, founded by Indian immigrants 30 years ago, features a one-room store in the front and a one-room restaurant in the back. The store has spices, excellently priced spice mixes and all sorts of ingredients you can’t find in Tel Aviv. I took home a 1-kilo tub of jaggery (unprocessed sugar), as well as some barfi candy (in the photo below, what a name) — colorful marzipan-like creations made from condensed milk. The restaurant itself is dairy (vegetarian + fish), and serves food like it’s found in India. The paneer tali and the appetizer platter was more than enough food for two, and together gave us about a dozen different dishes for about 80 shekels — quite a good deal. Across the street is another Indian restaurant, Jaipur (Herzl 84). I haven’t tried it, though. (Here’s a review in Hebrew). Also good for Indian shopping is Kolbo Ofra (named after the daughter of the proprietor), at Hamapilim 32, a side alley coming off the market. The store has all sorts of spices and cooking ingredients, as well as an array of freshly made pakoras and samosas. I got a bag of black cardamom for a rather steep 20 shekels, but given that I couldn’t find it at any spice shop in Tel Aviv, I suppose the price is reasonable. Back to Middle-Eastern food, another famed eating establishment is Halil, which offers hummus on the picturesque cobblestone Kehilat Detroit Street (Kehliat Detroit 6), near the ancient Radwan hamam. Next door you’ll find a baklava shop, and the surrounding streets also offer a few Middle-Eastern restaurants with lovely, arched, cavernous interiors. 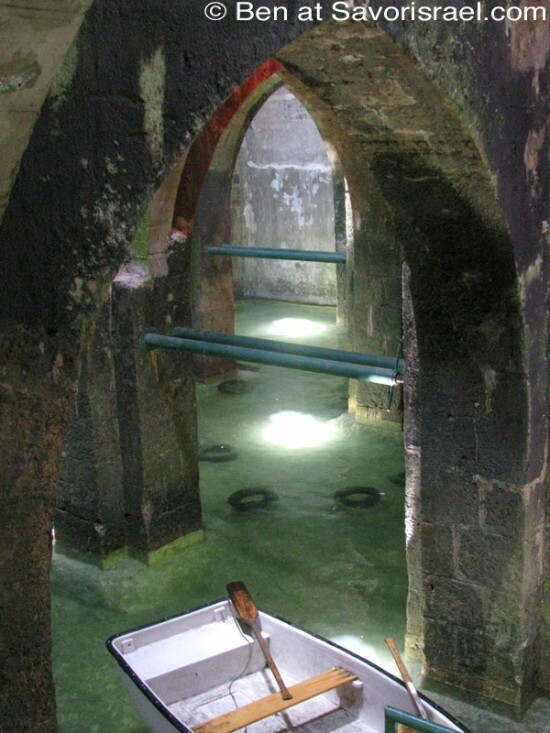 Behind the shook on Kehilat Detroit Street is Radwan’s hamam, an old Turkish bath. It’s long out of use, but you can walk by and look at it. Next door is the Orthodox church (St. George), built in 870 CE. It’s open Saturday (9-11 A.M.) and Sunday (8:30-10:30 A.M.). 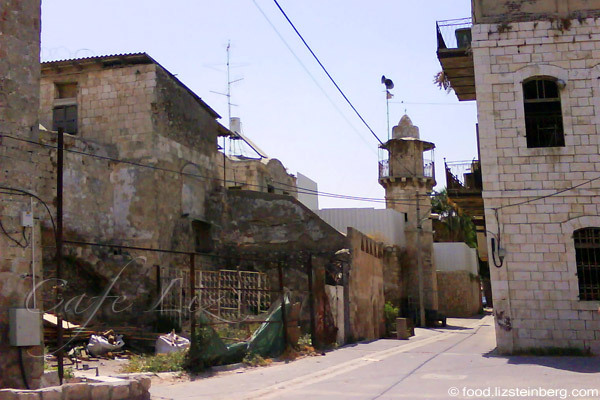 Also behind the shook — its parking lot, to be specific — you’ll also find the 12th century so-called big mosque, which started out as a Crusader church 800 years ago, on Shlomo Hamelech Street. The mosque is still in use, but is open on weekdays for a small entrance fee (10 A.M.-1 P.M. and 2:30-4 P.M.). As we strolled through the city, we passed by the Franciscan Church (Bialik Street). The church complex was silent and empty, but the door was open. We walked inside. Not a soul was to be seen. The church itself was closed. The entire complex was very pristine and white. Legend holds that when Napoleon was on his way to conquer Jaffa in 1799, he stayed at this church (the previous one at the site; the current one was completed in 1903). Not one for multiculturalism, it seems, he became angry when he was woken by the call to prayer from a nearby mosque and shot the poor muezzin. Sarah surveys Ramle’s street food. 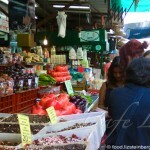 Sarah visits the Ramle market. Dining Minx interviews Maharajah’s owners. The Ramle municipal website describes the main attractions. Tour of Ramle on Tiuli. Sites in Ramle, by Haim Tov. 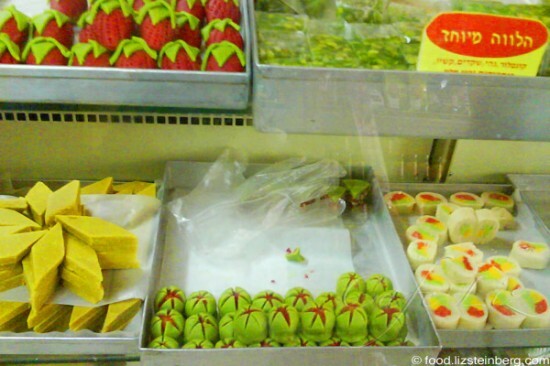 Masa Aher on Ramle’s market and Indian food. 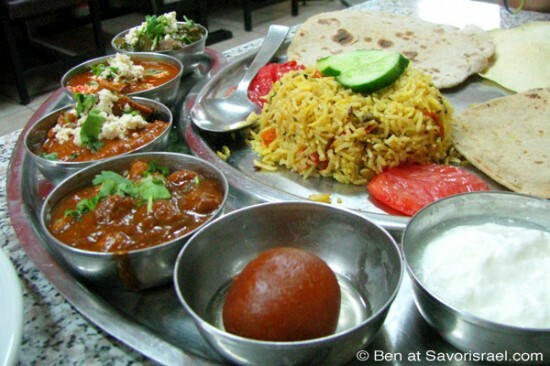 Ynet on Indian food in Ramle. 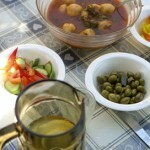 5 Responses to "Ramle, for food and history"
Oh I wish I could go to Ramle again! I last visited it in 2003 and also paddlen around in the Arches pool.Those Indian sweets look so so pretty! No reason you can’t! 😀 It’s so close. Hi Liz! Seems like the same Ben took me to Ramle too! 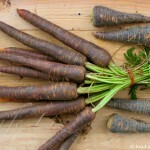 Wrote about it in my blog … http://diningminx.com/israels-taste-of-india. I thought Maharaja was great, especially those sweet butter balls you received in the platter.